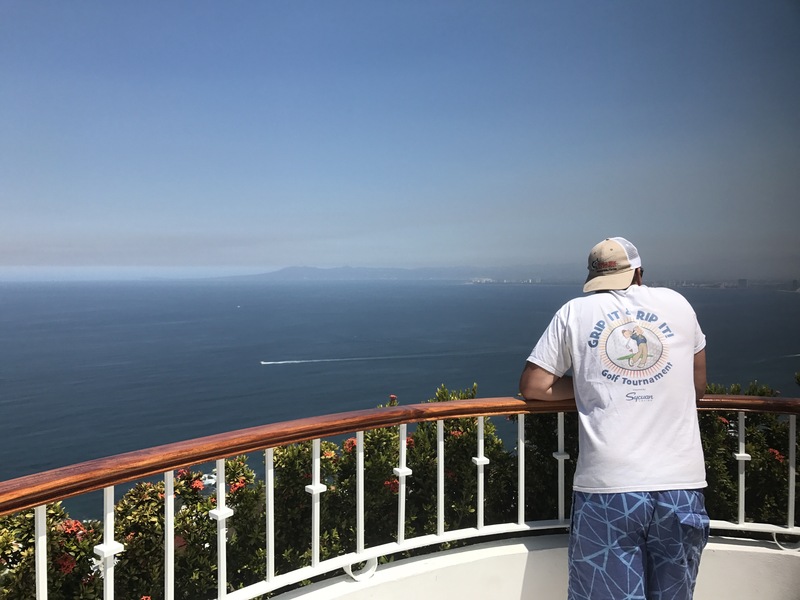 Over Easter weekend, Matt and I took a very last minute vacation to Puerto Vallarta. 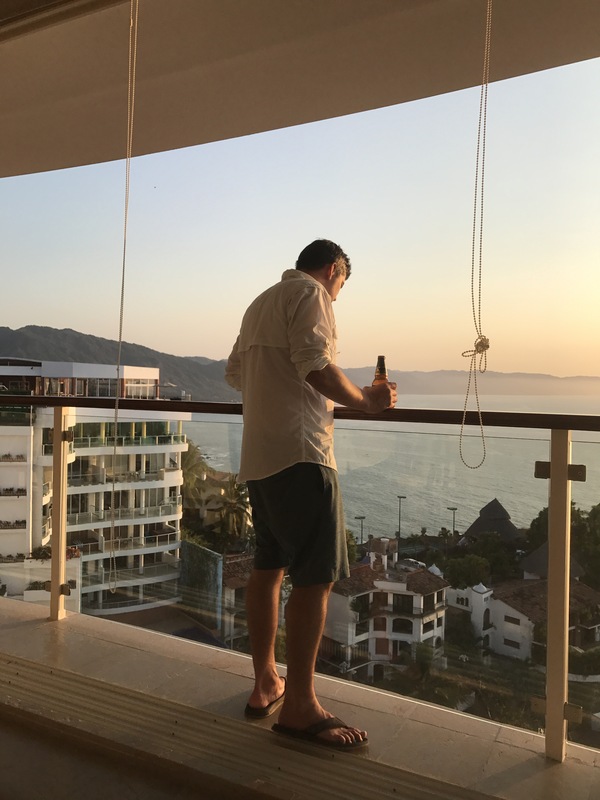 I had never been to Mexico so this was a great first trip across the border. However, I did end up with Montezuma’s revenge after I got a little carried away with my tolerance and bought a strawberry vodka slushy. But come on…how good does that sound? Unfortunately, I didn’t really get to enjoy much food after that day so my actual food suggestions are minimal and mostly based on Matt’s opinion and the view. 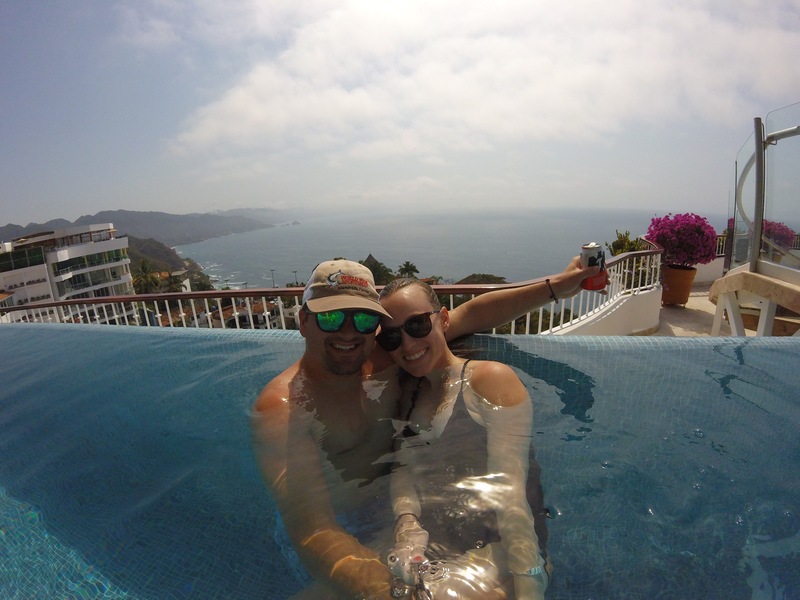 Aside from that, we still had a great time and I’m excited to go back and check out Sayulita for a wedding next spring. 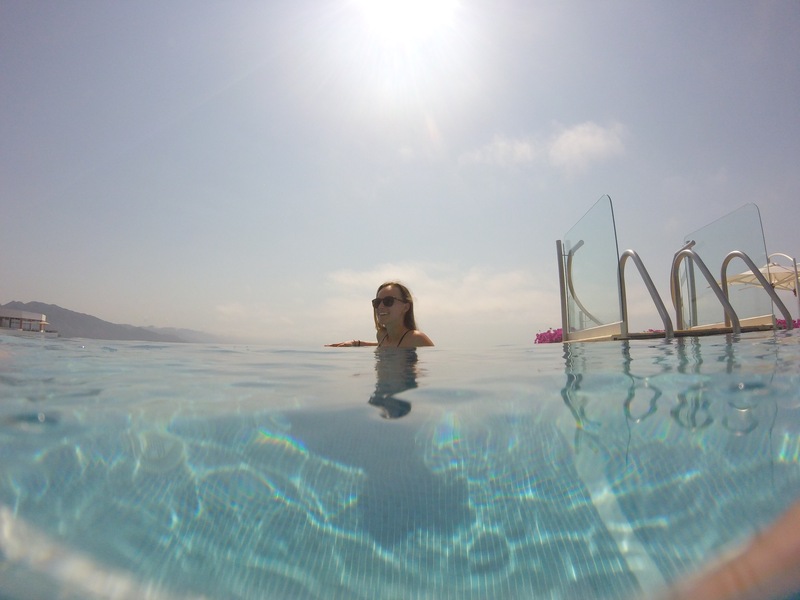 Grand Miramar. Hands down best hotel we’ve ever stayed at. 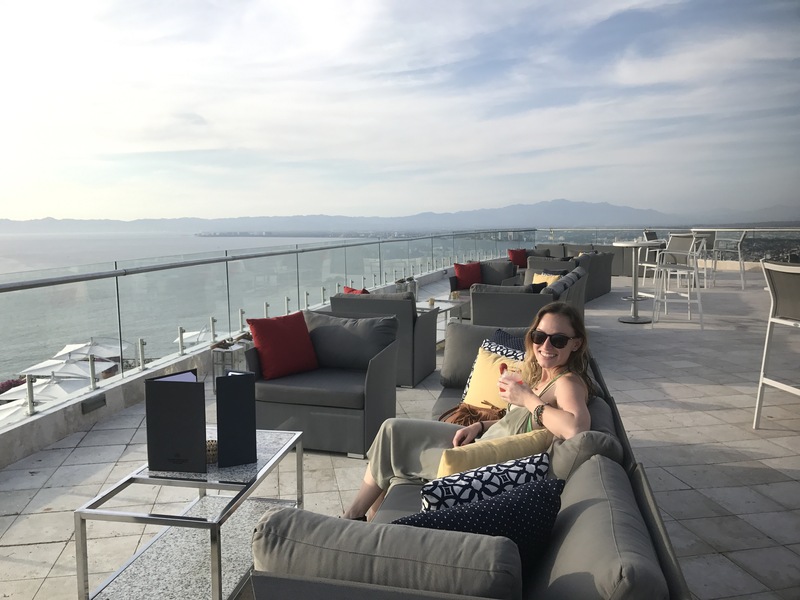 The staff is incredibly friendly and accommodating, the service is incredible (although slow like everywhere else seems to be), the views are insane, as were the grounds. 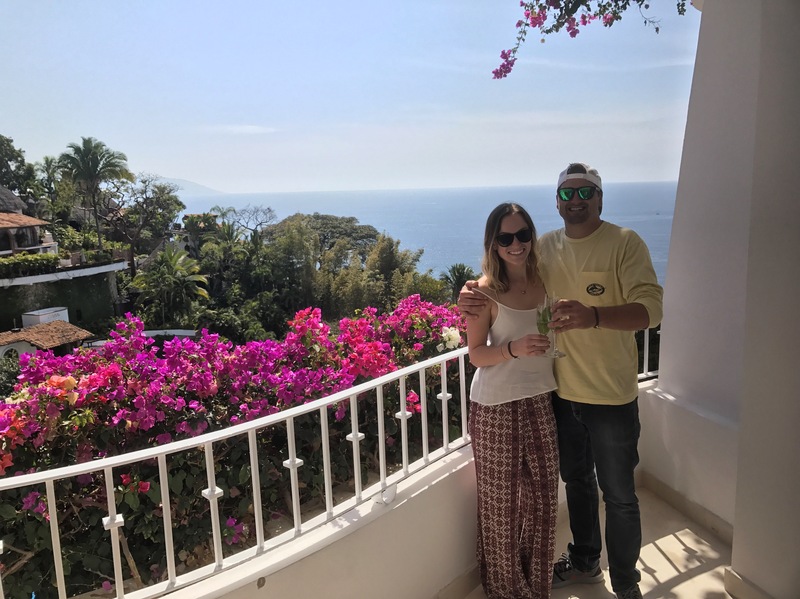 We chose to stay in Conchas Chinas, otherwise known as the Beverly Hills of Puerto Vallarta, because we wanted to be close enough to downtown while not being right in the middle of it all. 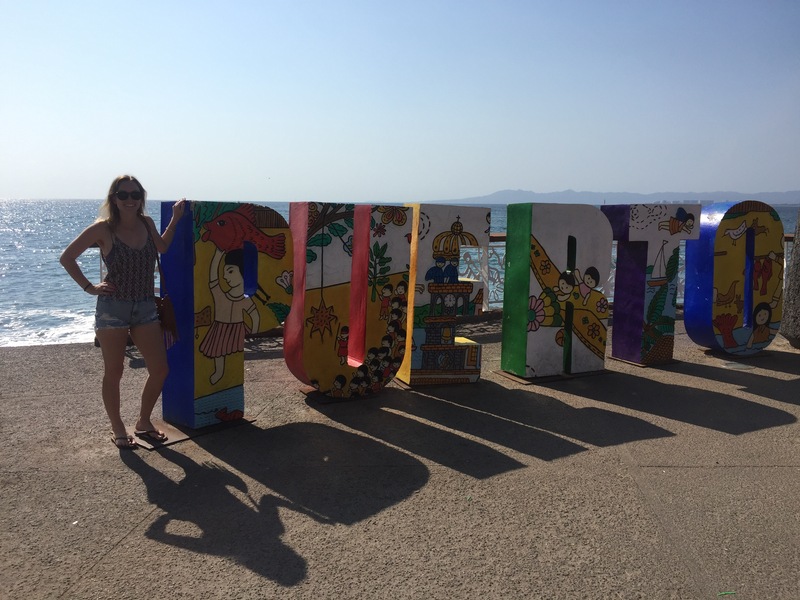 We were so happy with this choice because Conchas Chinas was absolutely BEAUTIFUL! 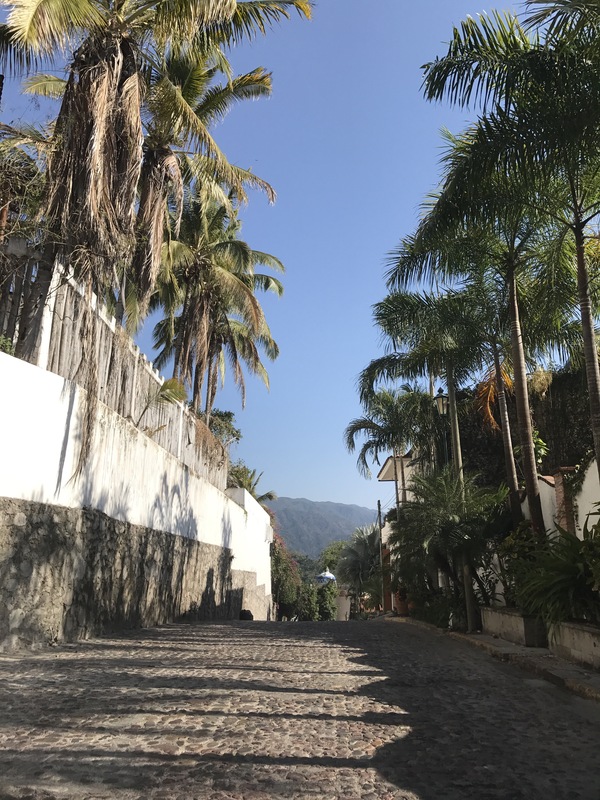 We looked forward to the ride up and down to town when we could scope out the cute cobblestone streets littered with bougainvillea leaves. It was absolute heaven. Grand Miramar offers a free shuttle and free entrance to the El Dorado beach club, which came in handy. We especially loved their pastries, french toast, guacamole, and strawberry margaritas. 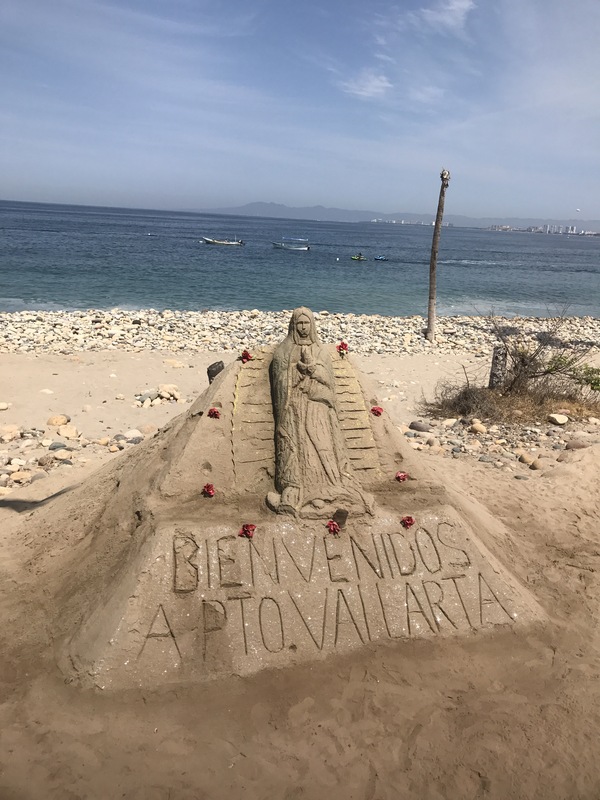 La Palapa. This place was stunning at sunset, with a view of the pier and twinkling lights. Los Conos on Las Animas, Yelapa. Beach front dining with sand between your toes. El Set. 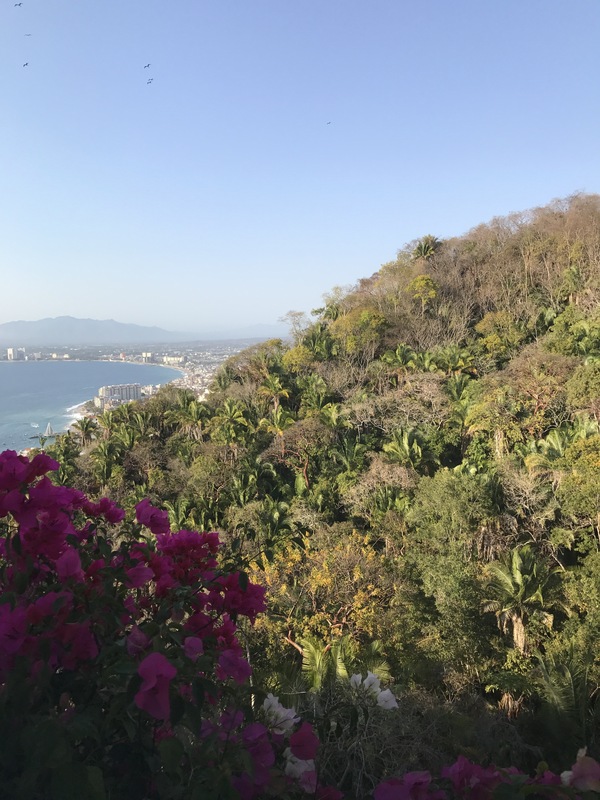 For a very romantic sunset dinner with less of a crowd, we went to El Set in Conchas Chinas. Matt had the mixed fish bowl and was obsessed with it. Visit Boca de Tamatlan. 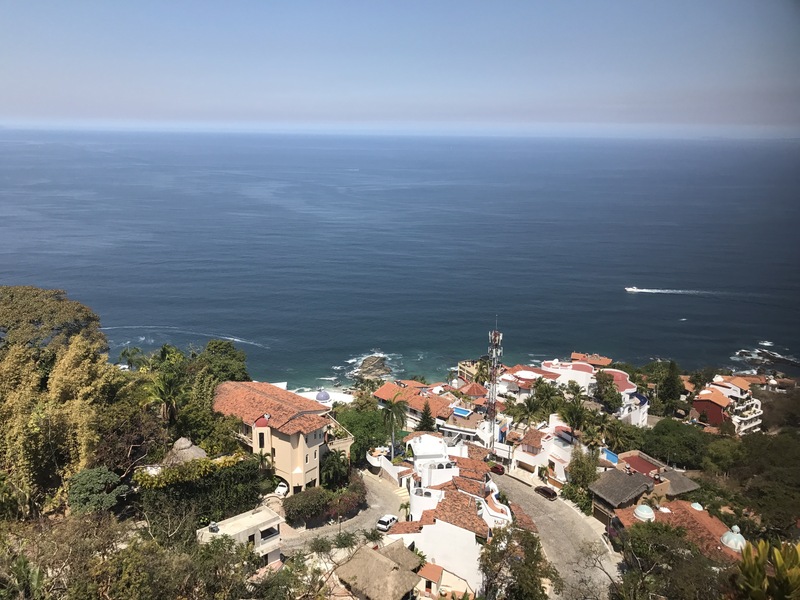 While there’s not much to do here, it is a very pretty stop before heading out to Yelapa by boat. Grab a beer and wait for your water taxi or get some sun on the sand! I heard from multiple people that Ocean Grille is the place to go over on Yelapa but you have to make a reservation. 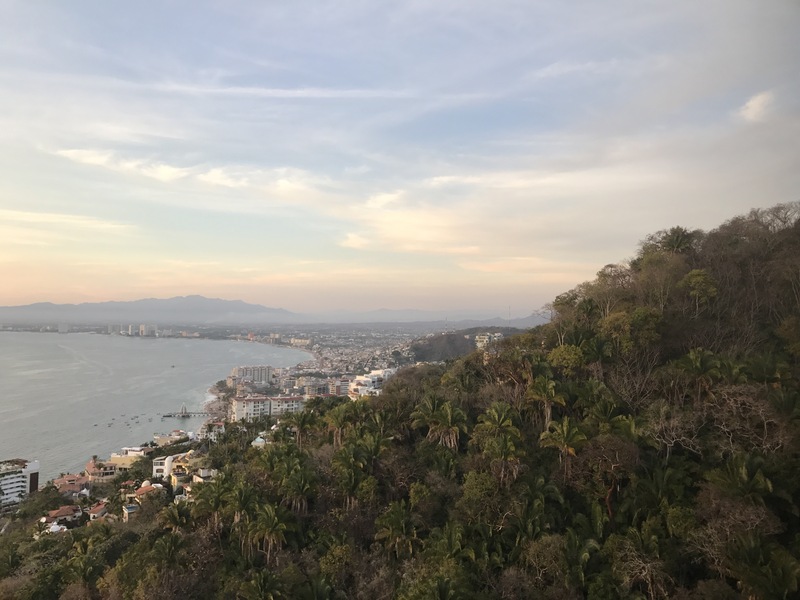 Visit Quimixto by boat. 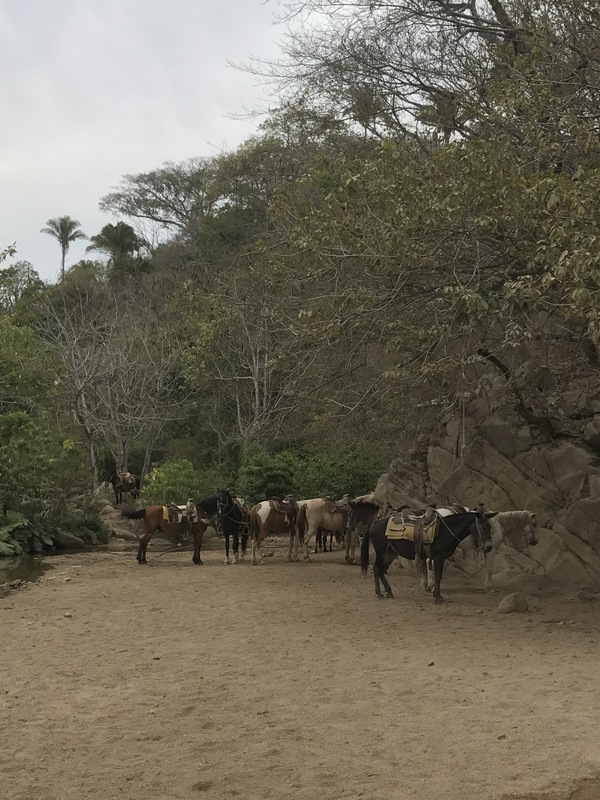 There are cobblestone streets, horses everywhere, a suspended bridge, AND a waterfall. Need I say more? After some negotiating, we chartered a boat for 1000 pesos from Boca de Tamatlan for 5 hours to Quimixto and then Las Animas for a very late lunch. For $60, this was the best “tour” we could have taken, especially since it was private with no timeline or schedule! Jewelry shop from local vendors. There are vendors everywhere but it’s also fun to visit the flea market next to the Rio Cuale or at Isla Rio Cuale. 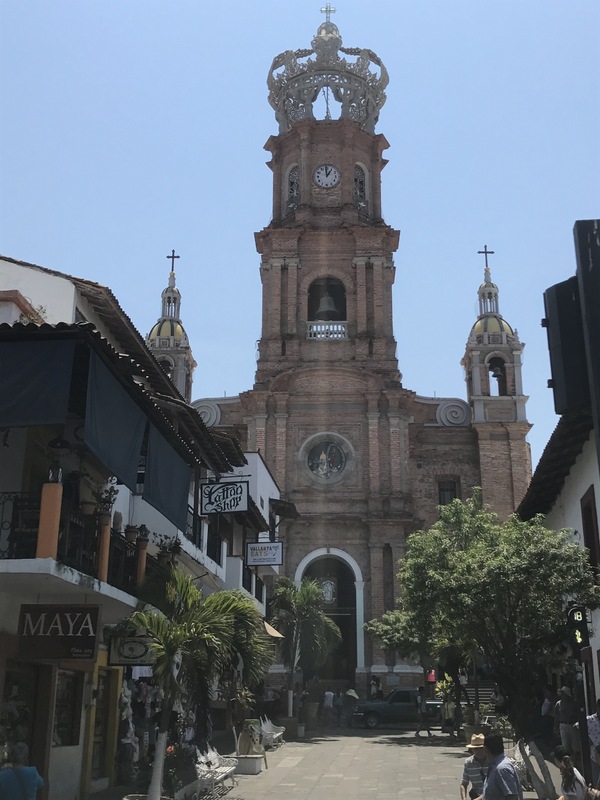 Explore Downtown Puerto Vallarta. Our favorite part of downtown was seeing the street actors who pretend to be part of the human sculptures along the main street next to the ocean. Sometimes they were hard to spot! There were also a ton of impressive sandcastles.